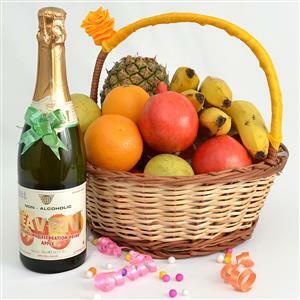 GiftsAcrossIndia.com brings for you this enigmatic basket with fruit juice that can be sent as Gifts across India for your dear ones all cities in India. 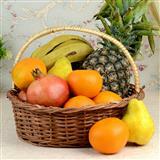 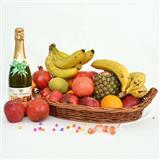 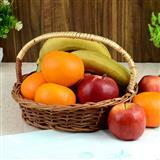 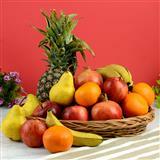 The hamper is comprised of different kinds of flavoursome fruits that have been arranged in a handle basket. 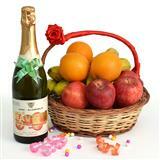 This hand delivered pack also contains a bottle of fruit juice that is non alcoholic.